We are seeking first one thousand signatures from supporters of Bernie to sign up for the new political party we have founded, the SOCIALIST DEMOCRATIC PARTY , a party that will carry out Bernie's mission into our future for the millennials, and for our children and grandchildren. We like to see this membership grow into "HUGE" numbers. Please write comment to plea allegiance. All comments and new membership will be published. I want to be the first one to be a member. Count me in. The Social Democratic Party of America was a short-lived party, established in 1898 and dissolved in 1901. The reason for failure was that the american working class was not yet ready for it at that time. 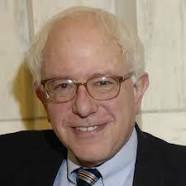 Now america is ready for it; there is movement created by Bernie. The time is ripe for it. I like to join and sign for it. I am all for it. Please email me detailed information about the party's charter. please look for an attached PDF file in your email today explaining how and why the party was established to continue to advance the Bernie's revolution after this election. The resolution document has all the details of the political agenda.